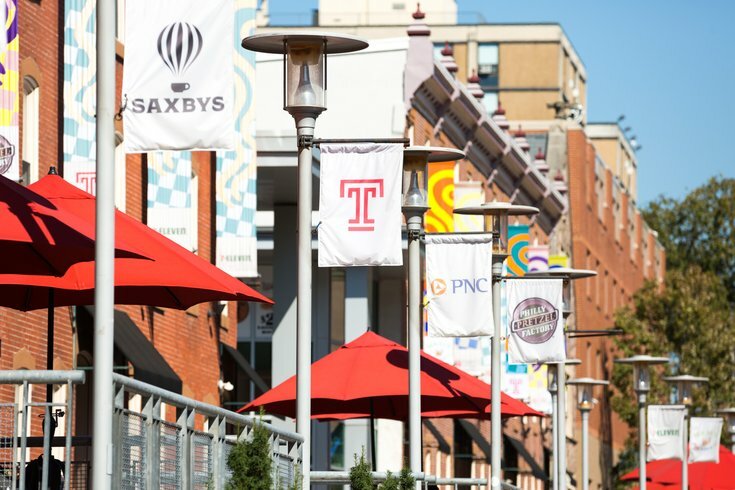 Liacouras Walk at Temple University. Temple University police are investigating a racist incident involving a student’s Snapchat account. Messages using racial slurs were reportedly sent from the Snapchat account of Brett Rhodeside, a junior at the university, to Entienne Williams, a sophomore at the Community College of Philadelphia. Williams posted screenshots from the interaction on Twitter, tagging the school and identifying Rhodeside as the sender. As of the time this article was published Tuesday morning, her post had received 850 retweets and 1,021 likes. Rhodeside claims that, though the messages were sent from his account, he himself did not send them. According to The Temple News, Rhodeside told Williams in a private message that two of his friends took his phone and wrote the message to her. “I would never mean something like that. I was stupid to let my friend write to you,” he reportedly told her. This is the fourth racist incident to occur at Temple University this academic year. Last September, a banana was left on student’s dorm room doorknob, initiating an investigation by Temple police. Later in 2017, multiple campus posters were printed with racist language and slurs. In February, Temple’s Queer People of Color campus group received an anonymous letter filled with racist and homophobic slurs, marking the first time the group received hate mail.